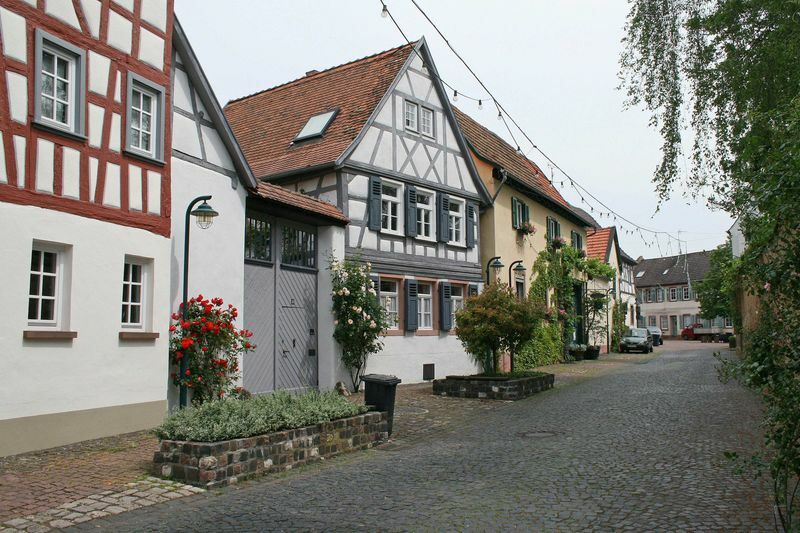 The historic old town of Hochheim has grown in a ring-shape from the elevated church’s promontory. 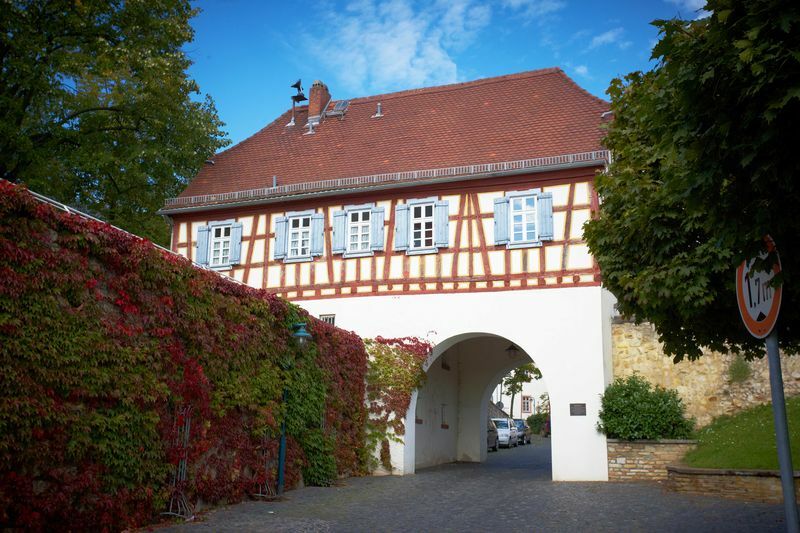 Only after the demolition of the town wall at the beginning of the 19th century, the town started expanding to the north, the east, and the west. 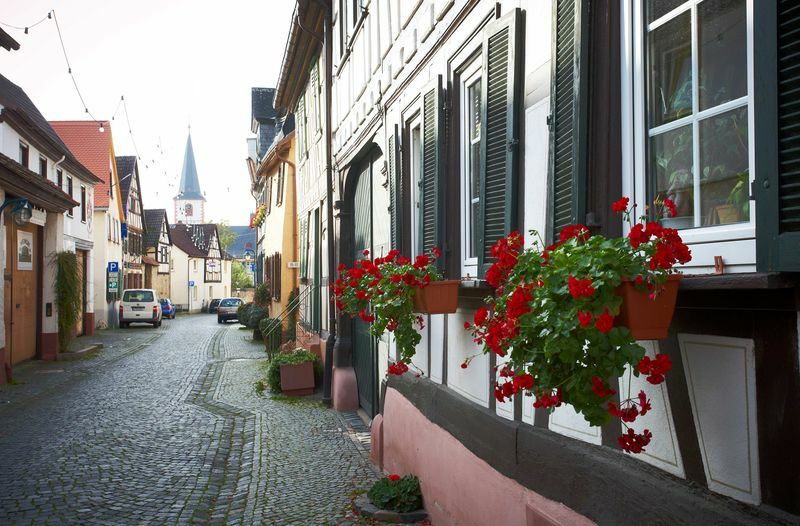 More than 80 half-timbered houses have survived in the historic old town of Hochheim, most of them gently restored. Wooden framework is constructed in a way that there is a primary wooden construction which is mostly filled with a clay-wood-mixture or brickwork. 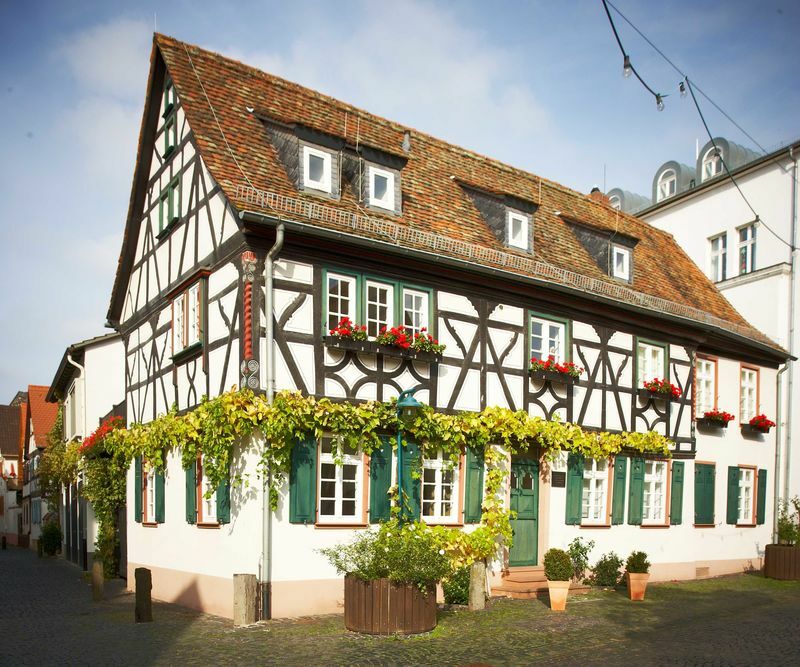 A distinction is made for middle German half-timbered buildings between framework and separate floor constructions. 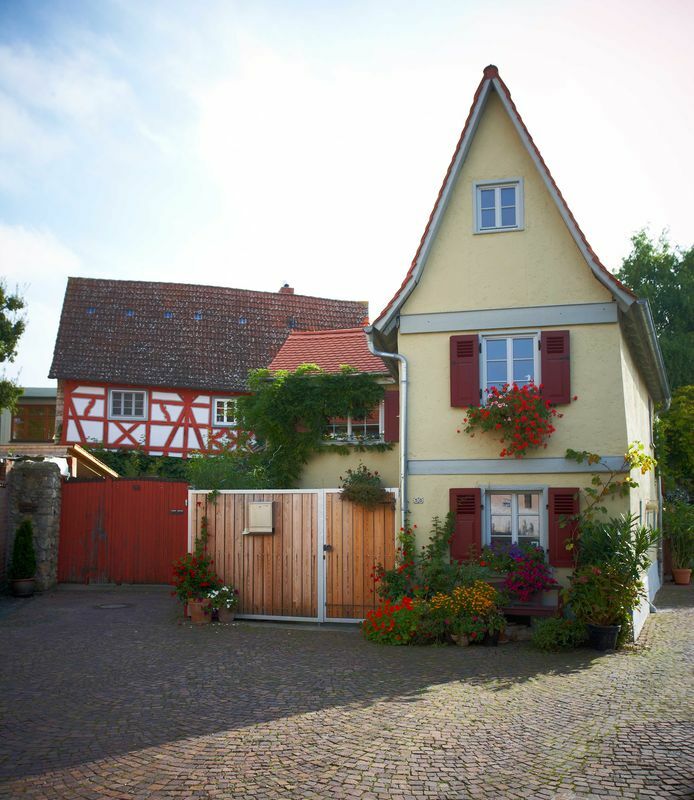 Both are present in Hochheim. 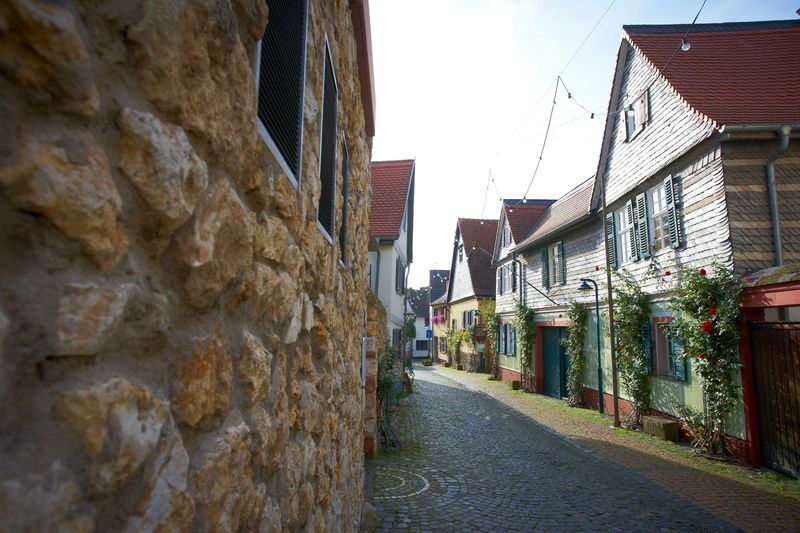 Mainly, the half-timbered houses in Hochheim are built on a floor-high brick-built lime wall, onto which the framework was later placed. Corner posts are often decorated with carvings and contribute to the picturesque scenery. Each building tells its own little story revealing fascinating secrets about its (former) inhabitants. 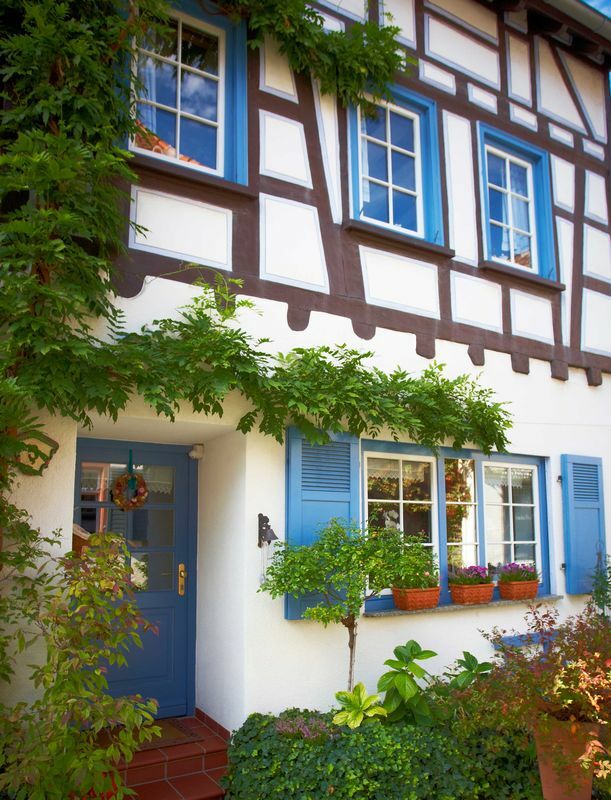 These details and the story behind the famous "Hessenmännern" on some half-timbered houses are explained by Hochheim’s town tour guides on an interesting tour about the history of Hochheim’s old town and the wooden framework construction.